Our Tilt & Turn windows combine ease of use with fabulous contemporary looks, allowing you to open up your home to fresh air and light whilst still feeling safe and secure with these high performance dual-purpose windows. As with all our products, our Tilt and Turn windows can be custom made for you and are available in a wide range of colours and finishes, you can even choose to have a coloured or woodgrain finish on the exterior whilst keeping a fresh white frame on the inside. 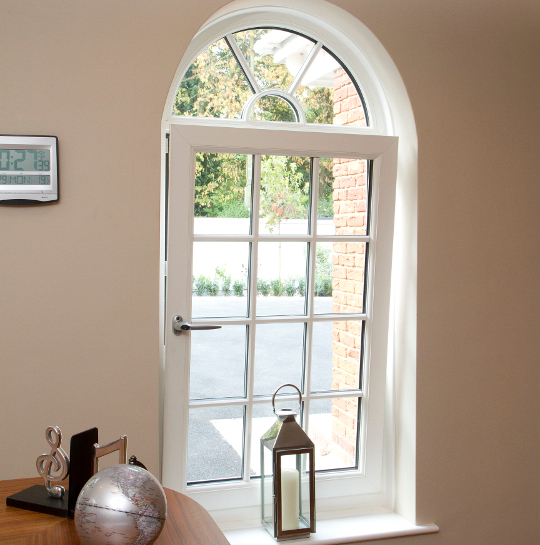 Our windows are manufactured using high energy performance glass units and are available in a variety of options including leaded, obscure, tinted and decorative glass, the choice is yours.